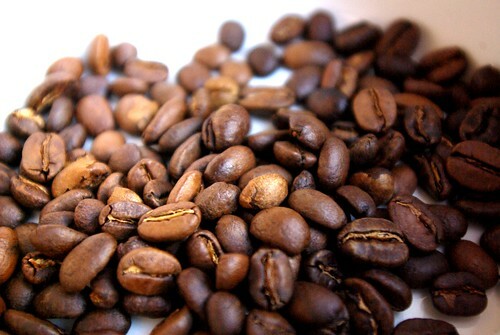 first roast: fair trade guatemalan huehuetenango medium batch, originally uploaded by aarn! +25th March, 2009+. integrated, there should be enough really nice fresh micro-roasted coffee around to keep a few people happy. the thought is that some of the overflow could be distributed to some local boston persons, possibly via an RSS feed from this page, letting people know what kind/roast/quantity is available and how to get it. thinking that the price will be really cheap (like $8/lb, sold in 1/2-lb bags), since the whole point of this was to get away from the ~$1/oz coffee price on roasted whole beans standard in this city. the batch tested well in both a press pot and chemex, and seemed to hit its flavor peak at about 6-hrs after roasting (but it sure was nice to drink coffee made from beans which had been roasted minutes before).